The range was updated further in 2018 with a new Stealth version, complete with matte black paint, updated graphics and new front fairing - as well as featuring the standard adjustable forks and up-and-down quickshifter. If this is a little out of your price range, you will be pleased to know that there are currently plenty of 821s available at MCN Bikes For Sale, catering for almost any budget. 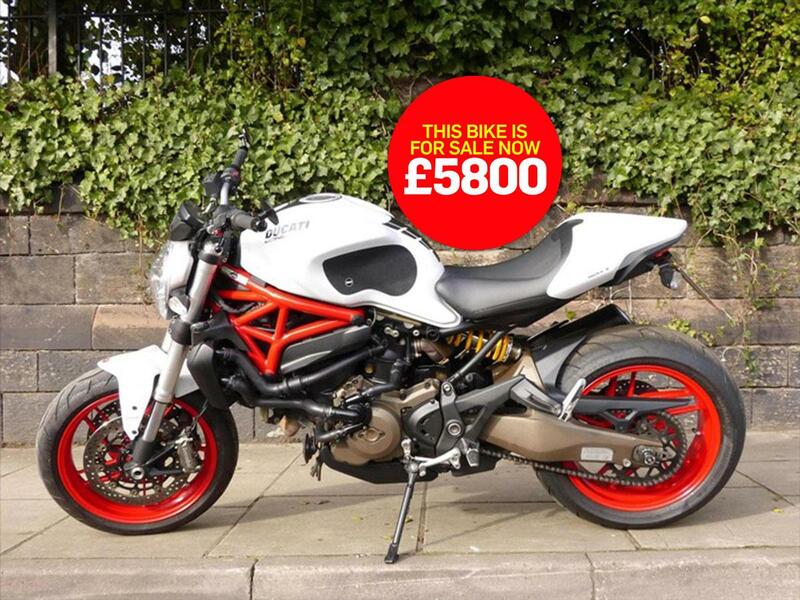 Wallasey Motorcycles say: "This excellent condition, clean and well looked-after example of the positively superb Ducati Monster 821 has covered just 7173 miles since new. It is supplied with both keys and full service history with all receipts and four Ducati stamps. "With only two previous owners, the bike comes with all the original handbooks/rider pack plus a tail-tidy, bar-end mirrors and a fresh (first) MOT along with 3 months warranty. Finance (T&C's apply) and nationwide delivery are available."